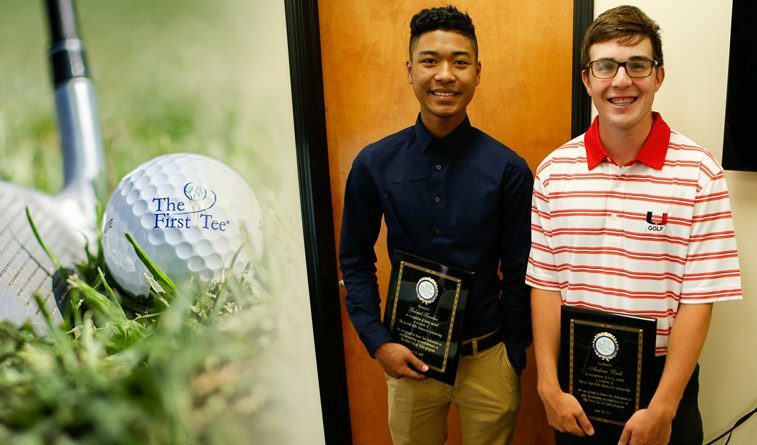 In honor of the late Jo Bob Hille, two First Tee of Tulsa students will be awarded the Jo Bob Hille Memorial Scholarship at the First Tee Learning Center on Saturday, June 10th. The recipients are Andrew Brill, a graduate from Union High School and Gabriel Sanches, a graduate from Epic Charter School. Jo Bob and Mary Ann Hille founded the Hille Foundation in 1997 as a way to formalize their strong belief in giving. They had always been active volunteers and valued supporters of the Tulsa community and felt forming a foundation was the way to accomplish their philanthropic goals more efficiently. 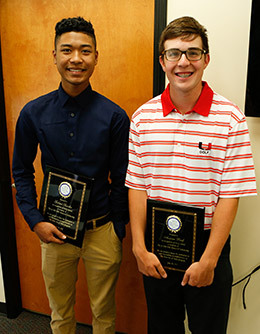 In 2008, the Hille Foundation began an annual scholarship available for First Tee of Tulsa students; from that time they have provided 14 First Tee of Tulsa students a scholarship for higher education. Gabriel Sanches and Andrew Brill. The First Tee of Tulsa is a non-profit character development program that uses the game of golf as the vehicle to teach life skills. The golf-based programs are focused on building character through The First Tee Nine Core Values: honesty, integrity, sportsmanship, respect, confidence, responsibility, perseverance, courtesy, and judgment.